Because we designed and built every part of your Citroën, we're the best choice for replacing each part in it too. From the tiniest detail to the largest component we can supply authentic Original Citroën parts, engineered to our exact standards and specifications. No-compromise quality is assured. Even better, our authentic, durable Originals are surprisingly good value, especially when you consider how long they'll last and how well they perform. So when you need something replaced on your Citroën, forget 'almost right' - trust the experts to fit the real thing for less than you think. To help keep you on the road The original tyres on your Citroën were chosen without compromise. 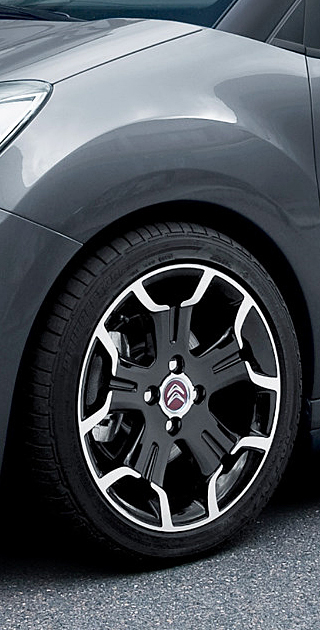 They match it to perfection because we work closely with the top tyre manufacturers like Michelin, Bridgestone and Continental to find the ultimate choice for your Citroën in all conditions. Everything from road holding, handling and economy to longevity and comfort have to be just right. It makes sense to be 100% safe and take good care of your tyres with a regular inspection. Who better to carry that out than us? At Wilcox Citroën - Wickwar we offer a FREE no obligation tyre health check. If your tyres do need replacing, you’ll find we have a wide stock of options available. We're constantly checking our prices against local garages like Kwik Fit and Halfords, to give you great value for money. We know you want to get back on the road as soon as possible. Our experts will fit your tyres while you enjoy a hot beverage in our comfortable waiting area. Whatever car you own, we have a wide range of premium and affordable tyres available in stock at Wilcox Citroën. To book a tyre replacement or to get your FREE tyre health check, call us on 01454 294213 or click the link below.